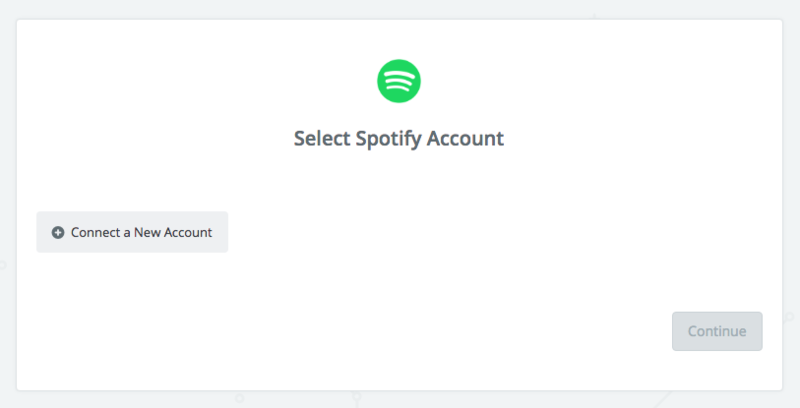 What Spotify Triggers and Actions are Supported? New Playlist - Triggers when you create a new playlist. New Saved Track - Triggers when you save a new track to "Your Music" library. New Track Added to Playlist - Triggers when a new track is added to one of your playlists or a playlist you follow. Get Audio Features for a Track - Gets the audio features (duration, tempo, etc.) for a track. Find Track - Look up a track by title/artist or by entering a track ID. Create Playlist - Creates a new playlist. Save Track - Save a track to "Your Music" library. Add Track to Playlist - Adds a track to one of your playlists. 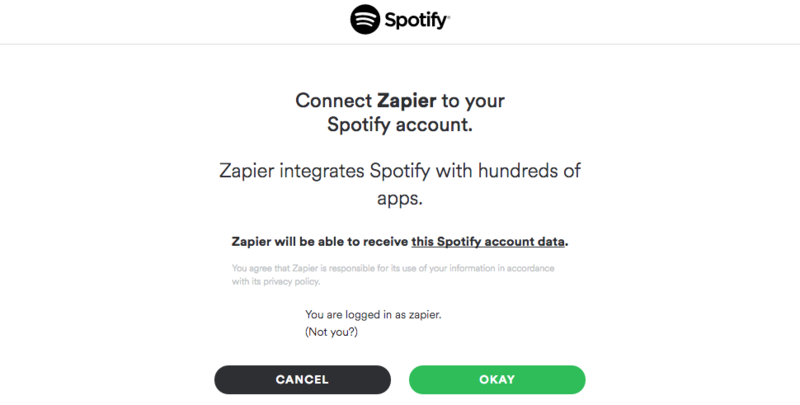 To get started with Spotify on Zapier, first you will need to click to connect your Spotify account to use with your Zap. 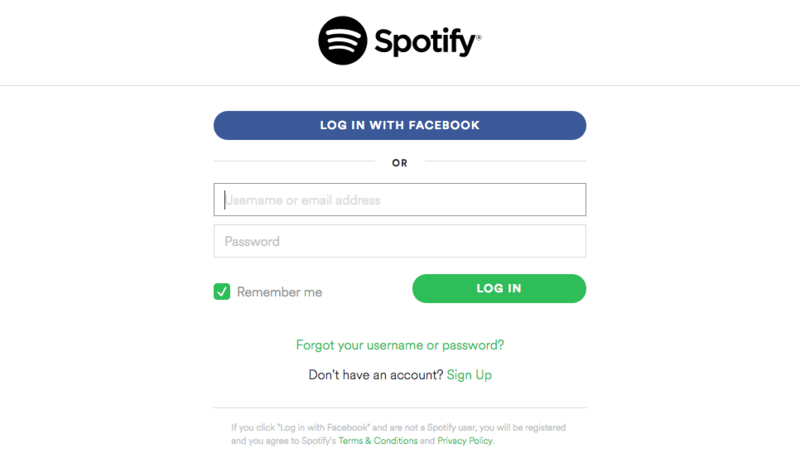 You’ll now be asked to log into your Spotify account (unless you are already logged in). Finally, you will be asked to give Zapier permission to access your account. Click “OKAY” to continue. 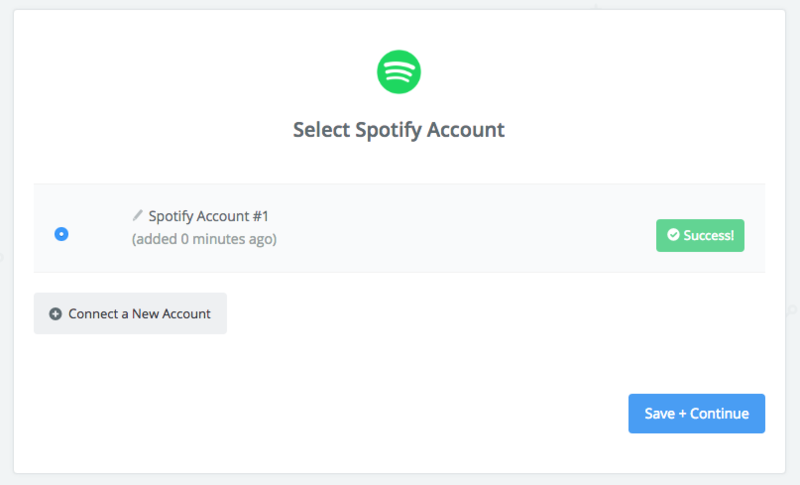 If all steps were successful your Spotify account will now be successfully connected.